Employers from around Rotherham are helping to raise aspirations and awareness and create an inspiring focus as part of The Working Heroes Project. Funded by Clore Duffield Foundation and managed by North West Rotherham Action Zone, the project is working in partnership with five schools, two writers, five host businesses and eighty boys aged 11 - 13. The project has two objectives: to create an inspiring focus for boy as writers and through this increase their awareness of the different kinds of jobs they might do as adults. The project is built around visits to different local employment locations. These visits will be followed up by workshop sessions in school with writers, Matt Black and Craig Bradley leading to the creation of original writing for publication and performance at a celebration event in the Spring term at Wingfield College of Enterprise and Learning. The schools involved are Roughwood, Redscope, Greasbrough, Rockingham and Wingfield working with business partners AESSEAL, RCAT, Groundwork, RMBC and Parkgate Shopping Centre. Stacey Almond from North West Rotherham Action Zone said: "It’s a great opportunity for the boys to experience a working environment first hand and start thinking about work options from an early age. We hope they’ll be able to capture some of the workplace characters and atmosphere in their writing." The cooperative approach of the local authorities of Rotherham and Barnsley is highlighted in a new report on the regeneration of the English coalfields. The Audit Comission report, "A Mine of Opportunities," uses the case study of the successful Dearne Valley Partnership to show how cooperation and cross-border partnership had a massive impact on the regeneration of the area. Through partnership work and securing significant funding, the former coalfields were reclaimed, as part of the UK's largest Enterprise Zone. The area is now a significant employment site, home to companies such as HeroTSC, Ikea, Martek Marine and Virginia KMP, and a number of successful start up enterprises. Since the Dearne Valley was designated as an Enterprise Zone in 1995 it is estimated that around 10,000 jobs had been created in the area by 2002. The report highlights the cooperation: "Most of the employment land is located in Rotherham, but this was not a concern for Barnsley council which instead secured funding for the Dearne Valley Parkway road which links its communities in the Dearne with the new employment sites in Rotherham." The report adds that a more insular approach would have lessened the impact of the regeneration and that "the decision to form this cross-border partnership, an unusual process at the time not just locally but nationally, allowed for a stronger message to be sent to government and for greater resource to be directed locally." Also referenced is the fact that Rotherham has begun to focus on developing a higher skilled economy, and that these activities need to become more widespread. The Chairman of the Audit Commission Michael O'Higgins said: "Substantial improvements have occurred in the coalfields through a combination of national and local actions - regeneration works. But there is still more to do and local councils and their partners need to prepare for a new phase of regeneration." A "green" IT systems recycling company has chosen one of Britain’s greenest business centres, in Rotherham, as the base for its global operation. Specialist thinc i.t. is an ethical brokering company, specialising in reusing and recycling high-end computer systems for companies around the world. Set up by one of Rotherham’s growing breed of entrepreneurs, it helps international companies comply with the Waste Electrical Electronic Equipment (WEEE) regulations by safely disposing of obsolete equipment – and reducing companies’ carbon footprint. Now it is operating out of Rotherham Borough Council’s Fusion@Magna centre. 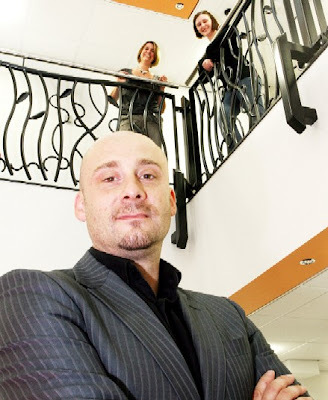 Director Stuart Ganderton has 15 years’ experience in the international computer brokering business, setting up initially in the centre of Sheffield at Aizlewood Mill. But his enterprise suffered a blow when the centre was flooded in last summer’s freak weather. Stuart asked Rotherham Investment and Development Office (RiDO) – the council’s regeneration arm – for some help finding a new base and recruiting staff. "I had a look around Fusion and instantly knew it would be a great place for the business with its iconic green walls and environmental credentials," he said. "And it’s half the cost of the premises we had in Sheffield and the same size. Not only that, RiDO gives me continual free business advice through an on-site adviser at Fusion, and its JobMATCH service helped me find two new staff." Beatson Clark’s commitment to health and safety has been recognised at the Health & Safety Glass Charter Annual Awards. The Rotherham glass container manufacturer scooped the prestigious Globe award for the "Best overall Health and Safety performance in the Industry" while managing director Alan Jones was named "Director of Health and Safety of the Year". The Glass Charter awards were introduced by the trade confederation, British Glass, to support Health and Safety Executive (HSE) initiatives. Beatson Clark received the Globe Award for delivering a consistent programme of health and safety improvements over several years. Ron Branagan, safety and training manager at Beatson Clark said: "Beatson Clark is delighted to receive this important award. It is fitting recognition for all the hard work, effort and commitment that goes into health and safety issues and underpins the positive health and safety culture within the business." 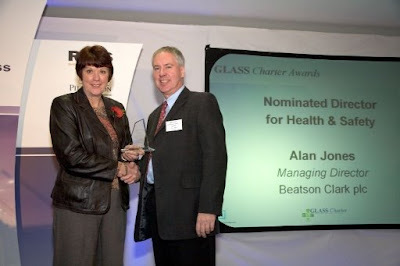 On being named the Director of Health and Safety of the Year, Alan Jones said: "Health and safety is of paramount importance here at Beatson Clark with everyone in the business engaged in a health and safety conscious culture. I am delighted that once again everyone’s efforts have been recognised with the company receiving these prestigious awards." It is the new face of golf, and it is taking shape on the site of what was once one of the UK’s most important coalfields, in Rotherham. Waterfront Golf is a new facility representing a £1m-plus investment in the £135m regeneration project at Manvers in the Dearne Valley. The overall Waterfront development is a project by Anglo-Dutch company TCN UK. It includes a business park, 400-plus homes, a retail centre and the British Canoeing Union’s Olympic training centre at Manvers Lake. Nestling away amidst this exciting new landscape is Waterfront Golf, home to a 32 bay floodlit driving range, specialist short game area, professional shop and sports bar and café – with a superb nine-hole course to be completed next year. The managing director of TCN UK’s northern operations, Stephen Holme said: "It’s a great facility for the area and enhances the attractions of our overall project." 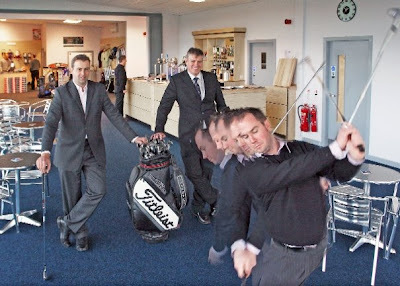 Paul Stancliffe, Waterfront's PGA Pro added: "Waterfront will play a big part in this regeneration programme, a stereotypical golf club it is not, our vision is to provide a very relaxed and inviting environment for all to enjoy from established golfers to complete beginners." It also has the honour of being the first golf facility to be awarded the prestigious Golf Mark Award for its commitment and development of junior golf. For more details contact Paul Stancliffe on 01709 877616. 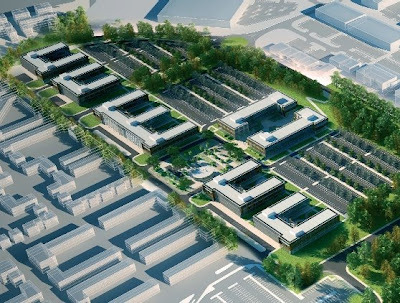 The developers behind the proposed government campus at Waverley in Rotherham describe the project as "a unique opportunity to relocate to one of the most dynamic regions of the UK." 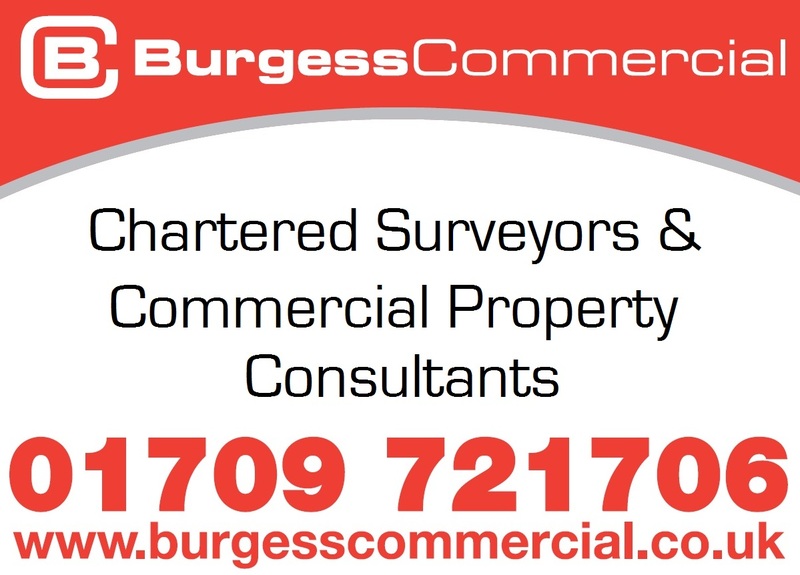 The recently submitted plans for 60,000 square metres of office space will be targeted at Government occupiers and associated business support organisations. 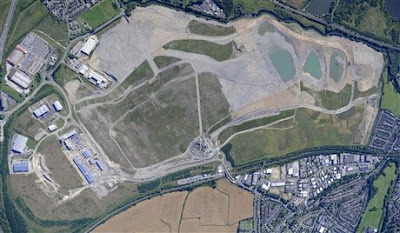 Tim Love, development director for Harworth Estates, UK COAL’s property arm, said: "The revised proposals are more consistent with the high quality environment we are looking to achieve at Waverley and provide different functions of Government the opportunity to relocate to a dedicated campus which forms part of a much bigger regeneration project." Mike Slade, chief executive of Helical Bar, commented: "Waverley offers a unique opportunity to relocate to one of the most dynamic regions of the UK. We want to ensure South Yorkshire continues to benefit from Government relocation and believe Waverley has all the ingredients which will attract them and provide a property offer which will enable Government to achieve efficiency savings and locate into highly sustainable, flexible office space." The anticipated work on the Highfield Commercial site could commence next year when a planning decision is also expected on the new community plans submitted in August. Once planning consents have been secured, it is expected the whole development will take around 20 years to complete. Staff at Martek Marine, the award-winning Rotherham firm, have given their first reactions to the Government's Pre-Budget Report. Martek's finance director, Neil Preston hoped the actions in the report would help their suppliers and told The Yorkshire Post: "One or two suppliers keep ringing up and asking how we are. We don't want them to be decimated and where we might benefit most is from our suppliers. "We are better placed than most. We've got a reasonably long order book. "Longer term the key is to keep confidence and employment going otherwise it's a bit of a vicious circle." On the proposed Small Business Finance Scheme, Preston told the paper: "We will have to see what's in the scheme. But £1bn spread across the whole country does not mean a great deal at the end of the day." Colleague, Steve Couslon, Martek's marketing director, told The Star: "It seems this government is more concerned with keeping consumers spending than keeping the cogs of British industry moving. "We don't see any positives in this budget and in the long run we expect SMEs to pay for short-sighted tactics with long-term taxes and penalties." A director at one of England’s largest social housing specialists has taken up a new role to focus on the major social and market challenges affecting the industry. Bramall Construction’s marketing director John Wilcox has started a consultancy role at the South Yorkshire-based company after retiring from the board in the autumn. His new responsibilities will see him build partnerships to develop housing strategies for older people, grow Bramall’s operations in eastern England and mentor other employees. "Part of my job is to look at how we can solve the future challenges of the housing industry by working to address them," said John. "The challenge of building housing for older residents is as big as that facing the sector in the late 1940s and early 1950’s, when the problem was availability of homes and schools. We are an ageing population, and our needs are changing. Councils, social landlords and providers need to come together to meet the challenge head on. I am looking forward to being involved in this work." During his 17 years at Bramall, 12 of which have been as marketing director, John has seen the company grow from a locally-based housing company to one with a turnover of around £140 million and 800 staff working from dozens of sites. Neil Baxter, Managing Director of Bramall in Yorkshire and the East Midlands, said: "John’s experience with this company over the years means he is perfectly placed to help us meet the challenges faced by modern housing providers." The Government has published a Pre-Budget report that describes the next steps the Government is taking to support the economy, business and households through the current difficult economic climate and maintain economic stability in the long-term. Included in the £20bn package is action to help businesses respond. In the short term this inlcudes a new Small Business Finance Scheme, a new HMRC Business Payment Support Service, more generous tax relief for businesses now making losses and the the modification of a number of planned tax reforms. Longer term actions include a package of reforms to the taxation of foreign profits, measures to enhance SMEs’ access to government contracts and a set of economy focused devolutionary proposals, to be agreed with local authorities in city-regions. Further actions were aimed at those facing redundancy and seeking employment and £3bn of capital spending will be brought forward. The £3bn covers a number of sectors including transport, housing and regeneration, health and education, and the environment. This package will support different industries and jobs across the country. Rosie Winterton, Regional Minister for Yorkshire & The Humber has welcomed the Government's Pre-budget report. She said: "In our region, we know that our success is dependent on strong and vibrant businesses of all sizes. The Chancellor has put together a dynamic package through finance, tax and support that will help our local businesses come through the current uncertain times." A world-leading Rotherham design and manufacturing company is to be rewarded for its award-winning export track record with a visit from His Royal Highness the Duke of Kent. The Duke will officially open Macalloy’s purpose-built Dinnington factory on Wednesday November 26. Macalloy's unique tensile steel tension systems have literally been the support for some of the most prestigious structures around the world. 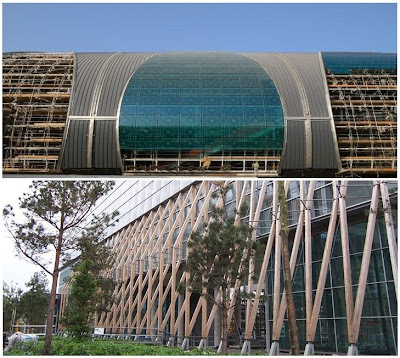 Recent projects include the 36,000 tendons that went into the teardrop façades at the new Terminal 3 building at Dubai Airport. The District Archive BRNO building which won the Czech Republic Building of the Year award in 2008 and the innovative wooden structure of Elm Park residential development Dublin, to which Macalloy supplied its full range of bar and fittings. Managing director Peter Hoy said: "We are honoured to be welcoming HRH the Duke of Kent. "This is the start of our second year in Dinnington and we have had a record few years of increased sales and orders during which time we’ve taken on an additional 15 employees. "Everyone is looking forward to meeting with the Duke and showing him some of the innovative work we have been doing all over the world. The Duke will be escorted by South Yorkshire Lord Lieutenant David Moody, who will introduce him to members of staff. RiDO’s business development manager, Tim O’Connell, said: "Macalloy’s unrelenting global success is flying the flag for Rotherham all over the world. It shows that the borough’s wealth of land, premises and workforce is attractive to world-class technology firms like Macalloy. "We are delighted Macalloy is receiving this Royal visit – it’s a great way to celebrate its success in the borough." 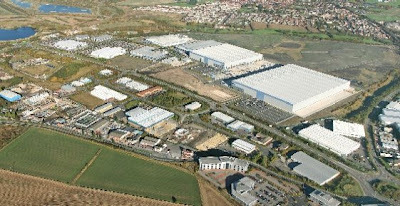 The first phase of works is now complete at the £31m Magna 34 Business Park in Rotherham and it is expected to create around 600 jobs for the region. Joint venture partners Loxley Land and Property and Jaguar Estates have unveiled the first phase of office and industrial accommodation, all of which is ready for immediate occupation, at the 19 acre park located off Junction 34 of the M1 at Templeborough. Phase 1 encompasses 10,000sq ft of Grade A, BREAM ‘Good’ rated contemporary office accommodation and a 151,716sq ft distribution unit for which the Magna 34 development partners have teamed up with JF Finnegans to deliver. Phase 2 of the development will incorporate further office and industrial units, in addition to design and build opportunities, ranging from 806sq ft up to around 40,000sq ft. Property Manager for Loxley Land and Property, Eldon Stevens, said: "We are incredibly proud to unveil this first phase of office and industrial space. 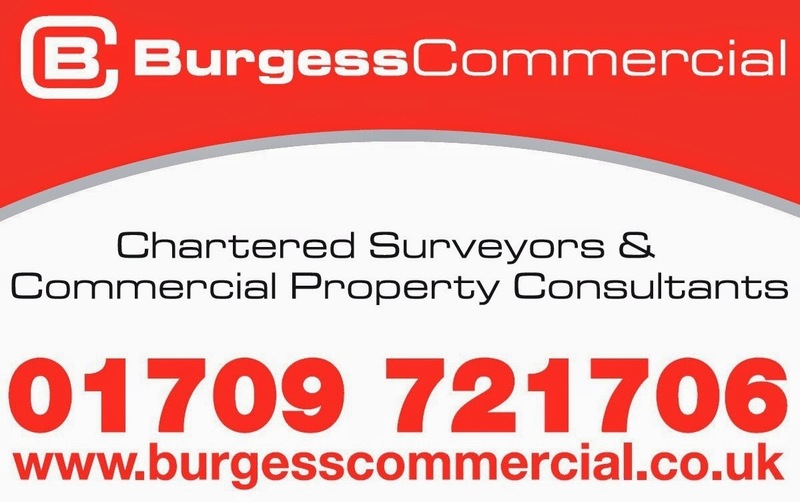 Our development agenda was to capitalise on the site’s strategic location and create a business park that could accommodate a range of office and industrial occupiers." Patrick Herbert of Jaguar Estates added: "Magna 34 has transformed the approach to Rotherham from the M1 and our commitment to developing high quality accommodation can be seen with this first phase. The office offering is sleek and contemporary and the serviced option delivers the flexibility potential occupiers are increasingly seeking." The South Yorkshire Passenger Transport Executive (SYPTE) has recently undertaken a review and a refresh of the Draft Tram Strategy. Regarding the connectivity between Sheffield and Rotherham, the proposed Bus Rapid Transit system on two routes is described as "a slightly sub-optimal solution." The report goes on to state that: "It is still believed that there is a role for tram expansion, therefore further lobbying is needed to Government to ensure suitable tramway funding is forthcoming." The innovative tram-train system is also highlighted. The two year pilot would see tram-trains run exclusively on heavy rail lines between Huddersfield and Sheffield. 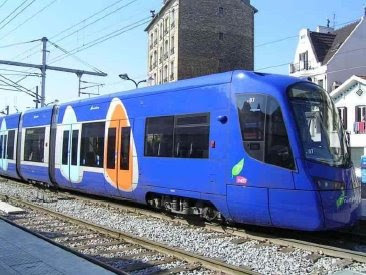 Phase 2 of the pilot could see the tram-train concept extended to the existing Stagecoach Supertram network with a possible extension from Centertainment to Rotherham or even Parkgate, on the existing rail line. Expanding the Supertram network to Rotherham and the tram-train concept are two service enhancements highlighted as strategic priorities alongside increasing capacity, bus feeder services and upgrading the network. The Commission for Architecture and the Built Environment (CABE) has published their design review of UK Coal's plans for Waverley. CABE is the government's advisor on architecture, urban design and public space. The review states that "a new community, well integrated into the existing context, could create a vibrant place to live and work for thousands of people. We think that a scheme of this scale should be driven by the highest aspirations for housing, public spaces, design quality and sustainability." However, CABE concludes that: "we do not think that the potential to create a successful, sustainable community has been fully used" and urged UK Coal to reconsider the approach to land use, phasing and planning and encouraged Rotherham Metropolitan Borough Council to demand an ambitious development. CABE's main concern is the separation of the residential and the business zones and advises that to create a more vibrant urban atmosphere, it might be beneficial to place some of the offices closer to the waterfront instead of creating a separate business park. They add that it may be interesting to develop a more integrated approach with interspersed green areas and houses. CABE also add that the "new community appears to lack connections and it feels isolated from the surrounding villages." Tim Love, Development Director for Harworth Estates, UK COAL’s property arm, said: "The whole Waverley project has the potential to provide up to 6,000 new jobs , 4,000 homes, a Park and Ride and a country park. Everybody involved is focused on establishing a sustainable, mixed-use development which complements the strong urban renaissance programmes in Sheffield and Rotherham." Last week a group of high profile Chinese delegates visited the Advanced Manufacturing Park in Rotherham as part of a collaboration between the city of Sheffield and the Chinese cities of Wuhan and Nanjing. The delegation of 12 people was led by Dr. Shi Nan - Secretary General of the Urban Planning Society of China and aims to promote excellence in urban regeneration and the provision of affordable housing. After visiting projects in the city, the group enjoyed a tour of the Advanced Manufacturing Park hosted by Chris Scholey of Renaissance South Yorkshire. The Chinese delegates also gave local businesses the unique opportunity to find out what it takes to break the Chinese market. A seminar was held at the University of Sheffield’s Confucius Institute where Professor Liu Hongyu and Dr. Shi Nan from the delegation briefed the audience on urban regeneration and affordable housing in China. They also outlined the opportunities that exist in China for companies involved in urban development, land reclamation or sustainable engineering. Ian Bromley, Chief Executive at Creativesheffield, said: "These increased connections with China are fast putting Sheffield on the global map. This world-wide interest in Sheffield’s economic and physical development can only bring benefits through an improved city image, increased inward investment, knowledge transfer, global collaborations and trade." Packaging News reports that the Swedish folding carton supplier, A&R Carton, has acquired a 33% stake in Rotherham-based Speciality Packaging Containers. The investment, which has the option to increase to a 100% stake, supports A&R Carton's strategy to increase its offering of board-based packaging. The Eastwood Trading Estate company manufactures containers for clients in the ice cream, dairy, confectionery and pet food sectors, and produce secondary packaging for a diverse range of products. Chief executive of A&R Carton, Per Lundeen told Packaging News: "This type of container is requested by many of our large key customers and SP Container's container know-how, coupled with our wide market penetration, promises a rapid expansion and a great future." SP containers supplies the major UK retailers and food producers along with very strong export business into European, Scandinavian and Baltic markets. The Young People’s Enterprise Forum recently launched a new initiative at Rotherham College of Arts & Technology aimed at giving students on vocational courses the tips and advice they need to start their own business. The Embedding Enterprise in Further Education programme, funded by Yorkshire Forward, will see modules on business start up become a key part of vocational courses, and professional development for teaching staff will ensure enterprise education becomes a core part of college life. Chairman of the Young People’s Enterprise Forum Martin Hathaway said: "Students who qualify as electricians, graphic designers, plumbers, or hairdressers need to know how to approach potential customers and tackle issues such as pricing or advertising. "Working with the participating colleges to embed these essential enterprise skills will help young people consider self employment as a real career option and will also help them become valued employees for a small business." Deirdre Bounds, one of the UK’s top entrepreneurs, has signed up to be the region’s first Enterprise Ambassador for Young People. Speaking at the Yorkshire launch of Enterprise Week Ms Bounds urged more businesses to follow her example and become role models for young people. She said: "Young people are our lifeblood and they will be running this region in the future. They need to be inspired by those of us who have had business success." Ms Bounds, who founded the ethical travel company i-to-i, is spearheading the Enterprising Yorkshire, Inspiring Young minds campaign for the Young People’s Enterprise Forum. Rotherham company, Acorn Industrial Services Ltd has been shortlisted at the Sheffield Business Awards. The Masbrough company is in line for The Irwin Mitchell Excellence in Customer Service Award which recognises a company demonstrating outstanding levels of customer service and satisfaction in all aspects of sales and after care services. Acorn Industrial Services Ltd is a supplier of bearings and transmission products and represents market leading brands such as SKF and THK. With the central distribution centre in Rotherham, Acorn also has three regional distribution centres and two branches across the UK. Established in 1983, Acorn was subject to a management buy out in 2005 and now employs 61 members of staff. Acorn's excellence in customer service comes from the appreciation that the customer is their greatest asset. Expert product managers from dedicated divisions provide technical help and advice or on-site visits. The company holds a £3m inventory covering 40,000 lines available for delivery within the hour for customers across the engineering sector. 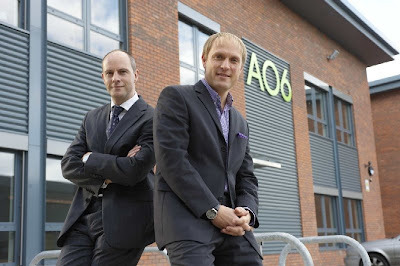 Acorn were also listed at number 52 in the recently published Top 100 SME's for 2008 in the Sheffield Star. Acorn will join fellow Rotherham company, Macalloy, at the awards ceremony on December 4. Yorkshire Forward are inviting innovative local companies to enter their Innovator/09 Awards. The second Yorkshire and Humber Innovation Awards, has been established by Yorkshire Forward, together with key regional and national supporters, to celebrate and reward the amazing innovation and creativity that is ripe in the region's businesses and universities. Categories include Innovative Young Company, the Knowledge Exploitation Award, the Product, Process, Service Award and the International Innovation Award. Winners will receive a cash prize of £3000, to spend on developing innovation within their organisation through training, services or products that will enable their business to further enhance their innovative progress. Jim Farmery, Assistant Director of Business for Yorkshire Forward comments: "Yorkshire and Humber has a history of changing markets from a number of our traditional industries and is diverse and resilient as a result. "We know that to remain competitive in the current economic climate companies need to stay ahead of the game and innovation is key to this. It's more important than ever therefore that we reward companies and individuals for their dedication to innovation in their work - whether this is alone or in partnership. "Research and development and the pursuit of innovative practice in business can fall by the wayside when, like now, businesses and investors are tightening their belts. These awards demonstrate the benefits of developing new ideas, technologies and ways of working in the region through real and successful examples." As reported here last week, Rotherham is bidding to become the home of a new university centre. The government has announced 27 areas in England interested in establishing new higher education (HE) centres, confirming strong local support for university expansion. These are some of the first places in the country to express an interest in the Government's 'New University Challenge' which was launched earlier this year to expand the opportunities for new local HE provision. John Denham, the Secretary of State for Innovation, Universities and Skills said: "In these challenging economic times never have universities and colleges been more important to education, economic development, regeneration and the cultural life of our rural areas, towns and cities. "It is my ambition is to build on the successes of the last few years which have seen new centres of higher education transforming local economies and the lives of local people." Wentworth MP John Healey met Mr Denham last week to put forward the case for a new university centre in the Dearne Valley. Rosie Winterton said: "This was a very productive first meeting of the Regional Economic Delivery Group. We discussed what action is being taken to tackle the worst effects in the short term and looked at what we could do to maximise opportunities for the region to support eventual upturn in the economy. "In these challenging times it is important that all parts of Government work together with regional and local partners from the public and private sectors to support the economy. "We were very clear that our role is to prioritise activities where they can deliver the most impact as well as understanding and filling any gaps in existing support. We discussed issues around access to finance, response to redundancies, procurement and development and regeneration." Rotherham is represented on the board by council leader, Roger Stone, in his capacity as chair of the Regional Improvement Board. Rotherham-based u-xplore, a dynamic educational software company, has appointed Simon Calderbank as national sales manager. With over 12 years’ sales experience in the education sector, Simon has enjoyed a varied career working for companies such as Lego in its software division. Latterly, he spent two years as an account director for the northern region of Netmedia Education, a virtual learning environment. In his new role, Simon will be responsible for generating sales of u-xplore interactive, an innovative software solution which engages with young people through cutting edge media. u-xplore has been working with schools and businesses over the last five years to strengthen links between the two by using the latest technology to bring business into the classroom. "I am delighted to be joining u-xplore; the company has been growing rapidly simply through word-of-mouth and there is huge potential to make more schools and local authorities aware of this unique solution to the problem of building closer links between education and business," explains Simon. "This is becoming increasingly important as schools introduce the new Diplomas which demand a high level of employer involvement." Already, u-xplore interactive is available to more than 100,000 students in secondary schools across South Yorkshire, Lincolnshire, Northumberland, Hull and Ayrshire. In addition the company also has plans to roll out the programme nationally to offer support to schools and young people throughout the UK. u-xplore has also secured the participation of a number of key employers including ITV Yorkshire, the Ministry of Sound, Sheffield Children’s Hospital and Glasgow Prestwick Airport. The Government has launched the Aspire Fund - a £25 million investment fund for women-led businesses - to be jointly funded by the Government and private sector. The Aspire Investment Fund will act as a beacon to encourage women with businesses to seek appropriate equity finance and will also demonstrate to the business community what investment opportunities already exist from businesses being run by women. Accessed via Business Link and managed by Capital for Enterprise Limited, the first of its kind and will receive over £12.5 million in funding from the Department for Business to be matched by a further £12.5 million from private sector investment. Minister for Economic Competitiveness and Small Business, Shriti Vadera said: "There are 20% more people in enterprise in the US than in Britain, and the majority of that gap is made up of women. Getting more women entrepreneurs is an economic issue not just an equality issue. If we were to match US levels of women's enterprise there would be 900,000 new businesses in the UK. "There is a wealth of untapped talent and economic opportunity that could significantly boost the economy in these uncertain times. The Women's Investment Fund marks the Government's strong commitment to support women in business". The Chamber of Commerce has confirmed Chris MacCormac’s election as the Chamber’s new vice-president in Rotherham. Chris will succeed the current Rotherham Chamber president Rob Hannon at the 2009 Chamber AGM. Chris is Chief Executive of Morthyng, a charitable training company that operates across the UK, but based in Rotherham. He has been an active member of the Chamber since 1997, has previously held a position on the Chamber Board and is currently a member of the CSS Board. 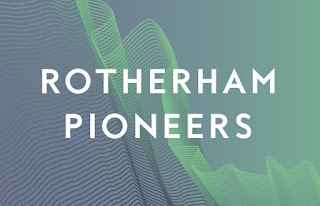 Chris said: "I am delighted to be elected as vice president to this dynamic and innovative Chamber, which truly represents and seeks views of all Rotherham employers in the private, public and third sectors. "The thoughts of following such current and former presidents is very daunting but also challenging. Partnership and quality are the vehicles that have served the Chamber well and will continue to help us support Rotherham, its employers and people in these forthcoming turbulent times." The Star Business has produced the annual survey of Top 100 SMEs in the region. ASD Lighting is again top in Rotherham and is South Yorkshire's second most profitable company, with a 50 per cent increase in profits from £2.6 million to £3.8 million. Other top Rotherham SMEs include Candlelight Products, Huthwaite, Europa, T K Lynskey, Horbury Building Systems and Roofdec. Supporters of the survey, Barber Harrison and Platt highlight that the Top 100 SMEs in this year's survey generated over £102 million in profits and employed over 9,100 people. Renewable energy solutions provider, Ecolution, recently completed the design and installation of photovoltaic and solar hot water panels at Thomas Rotherham College in Rotherham. The systems are designed for easy access by the sixth form students, to monitor performance for education purposes and provide hands-on experience of renewable energy technology. A photovoltaic panel and a solar hot water collector were installed as part of a major building project on site. "Developing sustainable sources of energy is fast becoming the most important technological challenge facing this generation," explained Maurice Patterson, finance director at Thomas Rotherham College. "By installing the solar hot water and photovoltaic panels, we are not only saving money on utilities bills but are also giving students first-hand experience of the latest renewable energy technologies. The college recently received a bronze award in the Eco-Schools programme for its focus on saving energy and sustainability." Ecolution’s director Alan Fry commented: "This was a project we were delighted to be involved with. Educating the next generation about the importance of clean, renewable energy sources and also the social and environmental impact of buildings is essential, ensuring the success and further development of renewable energy technology." Packaging News reports that Moorhouse Brewery has chosen Rotherham glass specialist Beatson Clark to supply it with lightweight 500ml bottles for its Black Cat and Pendle Witches Brew. Together with Rawlings & Son of Bristol, Beatson Clark created the bespoke 320g bottle, which has been embossed with the Moorhouse company logo. 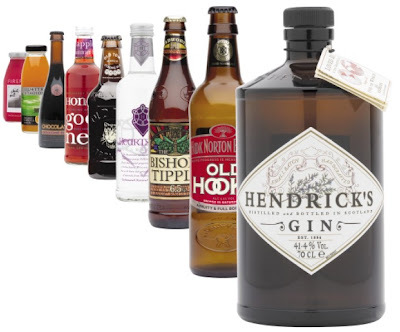 Moorhouse has placed an order of 400,000 bottles, which will be on shelves for Christmas this year. Beatson Clark marketing manager Charlotte Taylor told Packaging News that order sizes are no problem for the company as the company's experience and facilities gives it "the capability to design, produce and deliver very quickly to client requirements". The 500ml Amber Ale bottle originally weighed 403g, but Beatson Clark’s highly skilled team have reduced it to just 320g. They have also managed to retain the bottles popular, chunky appearance including the distinguished bulbous neck, keeping that ‘real ale’ feel. During the lightweighting process fewer raw materials will be used and the weight of transporting the goods will also be lower, resulting in a significantly reduced impact on the environment.